← Is piracy really a Mega problem? I have been asked a couple of times to write an article about using GIS systems because of my background in this area. I had a lot of fun learning GIS and and exploring Spatial Analysis, it was a very interesting topic and a great break from the rest of my Public Policy and Management courses. 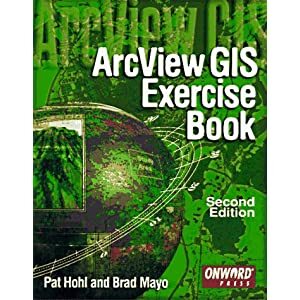 My concentration from my Master’s Degree (Masters of Public Administration from North Carolina State University) was in Geographical Information Systems, where I used ESRI ArcInfo, back around 1997 give or take a year. In my previous position as the Product Development Manager for a technology firm making custom VHF, GPS and Satellite tracking equipment, I was heavily involved in managing the technology team for projects that created equipment that produced GPS location data. In addition to managing the projects and team, I was responsible for overseeing the engineering design and testing to make sure we were producing information that could be analysed by scientists using GIS tools. Along the way I designed and produced software that could export raw data to ArcInfo (and KML data for custom Google Earth maps) and tested our information outputs in ArcGIS to make sure it was working properly. It was a lot of fun working with GIS maps of real world GPS data from migrating sea turtles helping to create maps of endangered animals like cheetahs and elephants. Very rewarding stuff. Anyway, that is my GIS background. I will try and write a few blog posts over the next few months about the various GIS tools out there and how to use some of them. This entry was posted in GIS, Technology and tagged ArcGIS, ESRI, GIS. Bookmark the permalink.